For the holiday meeting in December the Victoria Modern Quilt Guild had a mug rug swap. This is the rug I received fro “Dragon Lady” Laura (it’s the subject of her art not a reference to personality!). Laura doesn’t blog but had enclosed a handwritten note which I thought I’d memorialize here, as a way of easing myself back into blogging without going crazy right off the bat. Spool fabric was found on a field trip to the Sunshine Coast. I’m thinking this one was from Carola’s. Right away I knew I wanted to piece improvisationally and add some white to complement the mug. So that I did. 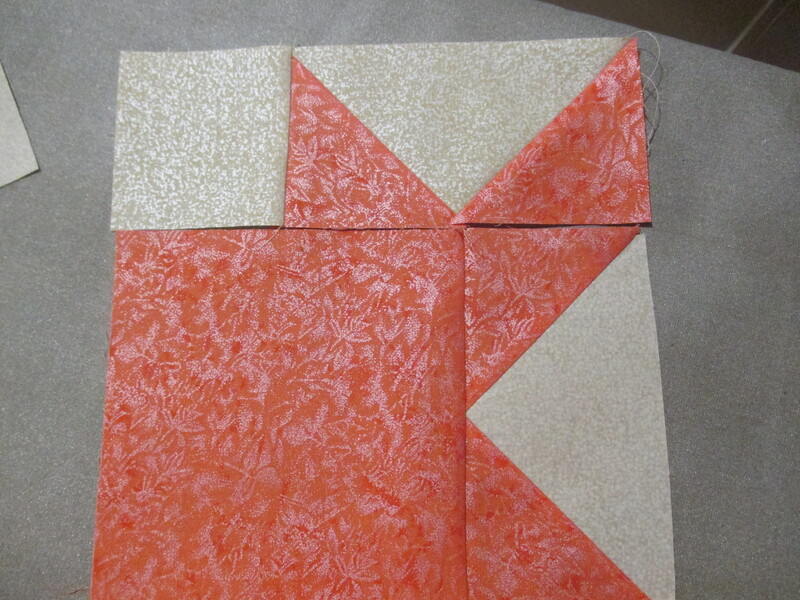 Top is quilted with Wonderfil cotton Tutti TU 03, bottom is Aurifil 50 wt 3320. 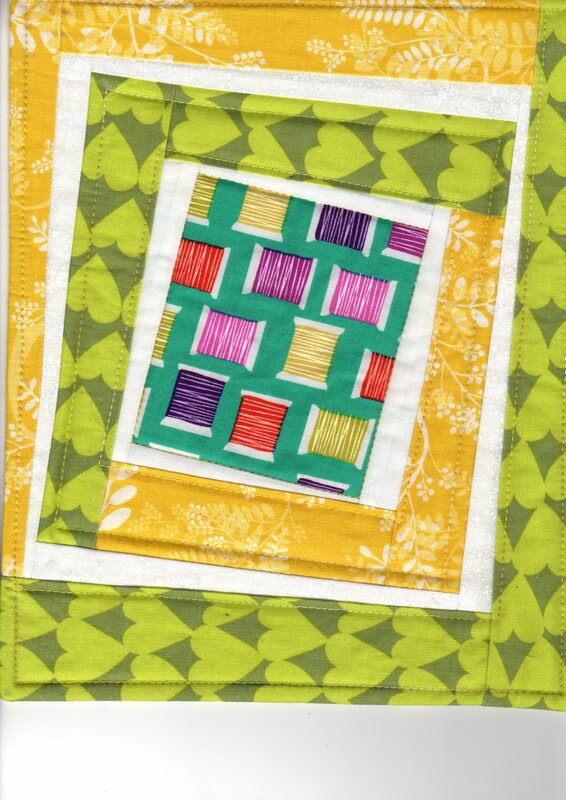 Hope you enjoy the mug rug with its spools and the heart fabric showing quilting love. Have an amazing, creative 2015. Ironically it was Laura who saved my bacon as we were putting our efforts out, because I had completely missed the point that the mugs and rugs were supposed to be wrapped, and Laura came to my rescue with a spare plastic bag. What was my mug rug like, you ask? Well, erm, I had the best of intentions of taking pix, but with one thing and the other that didn’t happen. 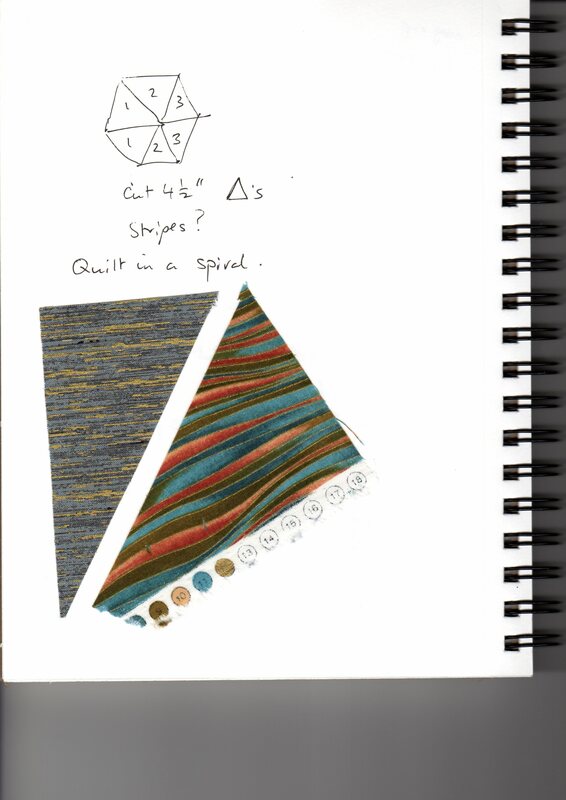 However, I took two somewhat stripey fabrics and a triangle ruler which I’ve had for years but never actually used, and put together a hexagon. The mug I chose was white with a real knitted cable knit sweater to keep the contents warm for longer so hopefully the recipient enjoys it! Check out the inspiration photo and palette at design seeds. 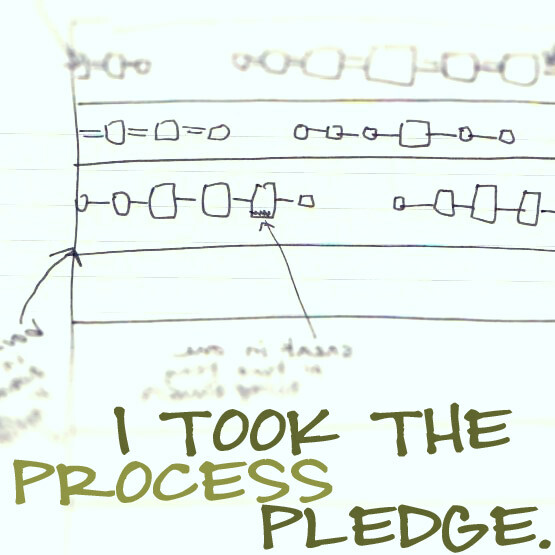 I watched Anne Sullivan’s webinar through the Modern Quilt Guild explaining the concept of Quilt Design a Day and took to heart her reassurance that one can participate without necessarily using a computer program to do it. Although that is something I also do plan to look into! Starting a list of ‘missing colours’ to pick up either markers or perhaps watercolour pencils whenever I’m in an art supply store. This palette also has a light cream that I don’t have anything close to, a very low volume colour. The colouring was done with oil pastels. The blues and gray reproduced well in the scan but the lilac around the gray in the centre portal is disappointing. Is this a new block? Believe it or not I had my test block from yesterday out and very carefully (as I thought) followed it. But something got lost in translation. Can you spot the non deliberate error? 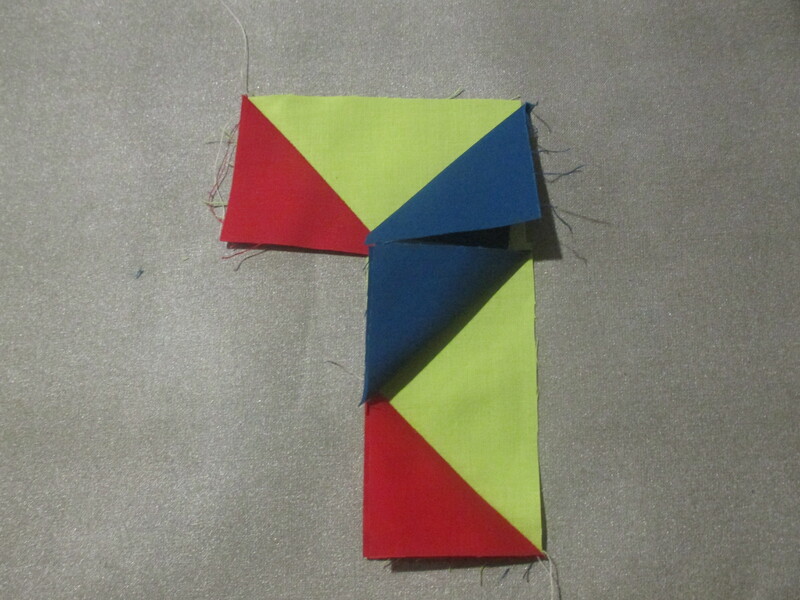 Yep, I had the red triangle and square sewn together wrong. 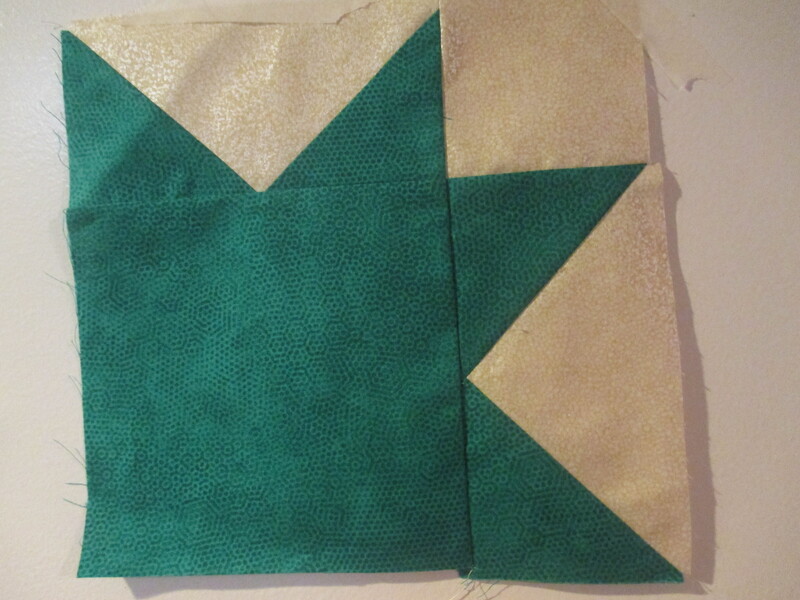 anyway this block needs to be above all DONE because tonight’s Modern Quilt Guild Victoria meeting at Satin Moon is the deadline. 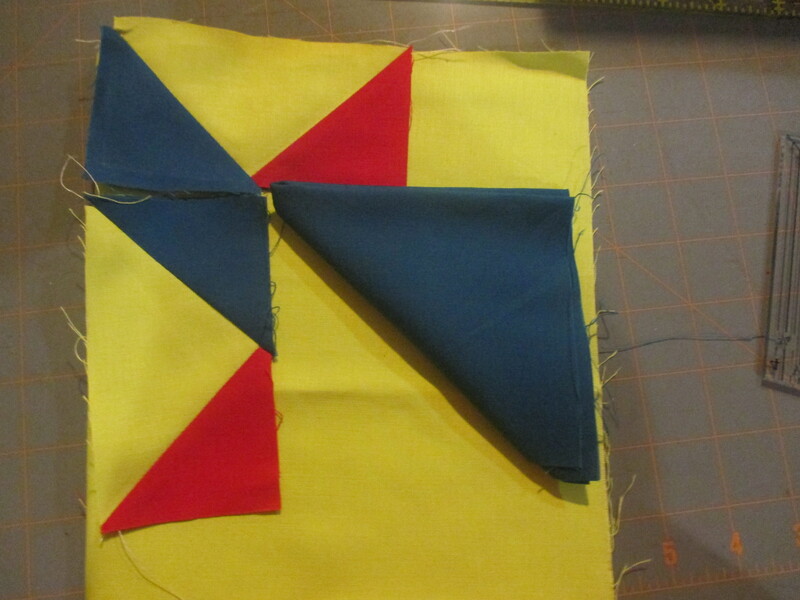 If the top block doesn’t already have a name I’m thinking Perverted Pinwheel. But maybe it already has a name, does anyone know? 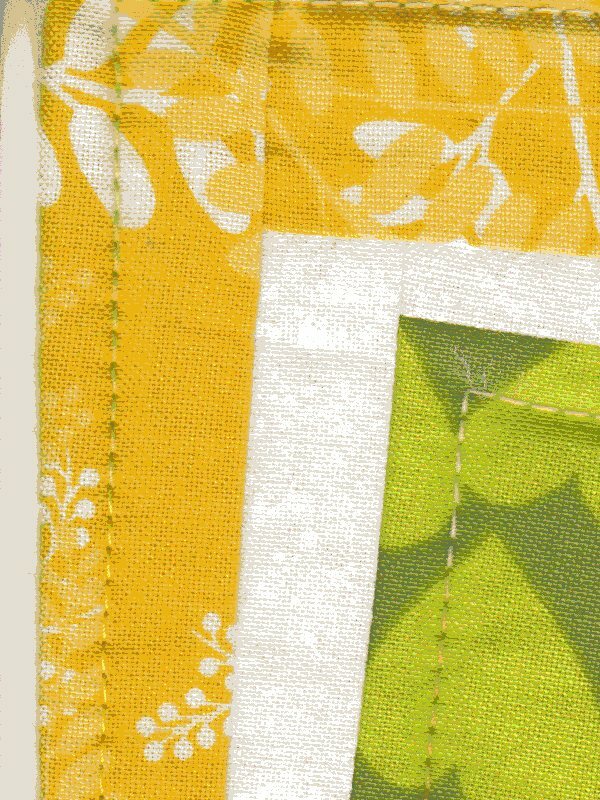 Banner Block for Victoria Modern Quilt Guild, work in progress! which I’ll post more about as time goes by. except why stop with a plain “background” in the large area? and for that matter, wouldn’t a little more cardinal be a Good Thing? What do YOU think? 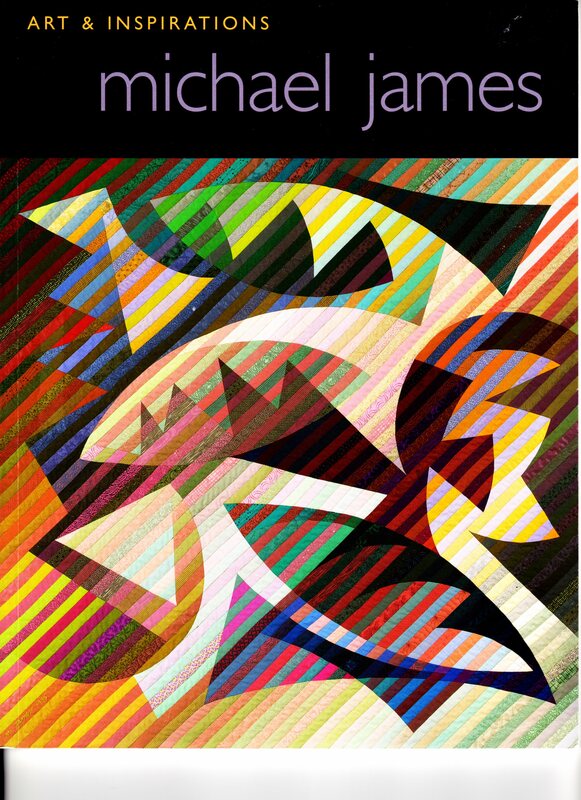 Does this say “modern”? To mark the inauguration of the Victoria Modern Quilt Guild, Robert Kaufman fabrics has generously donated Kona Cottons to Guild members. 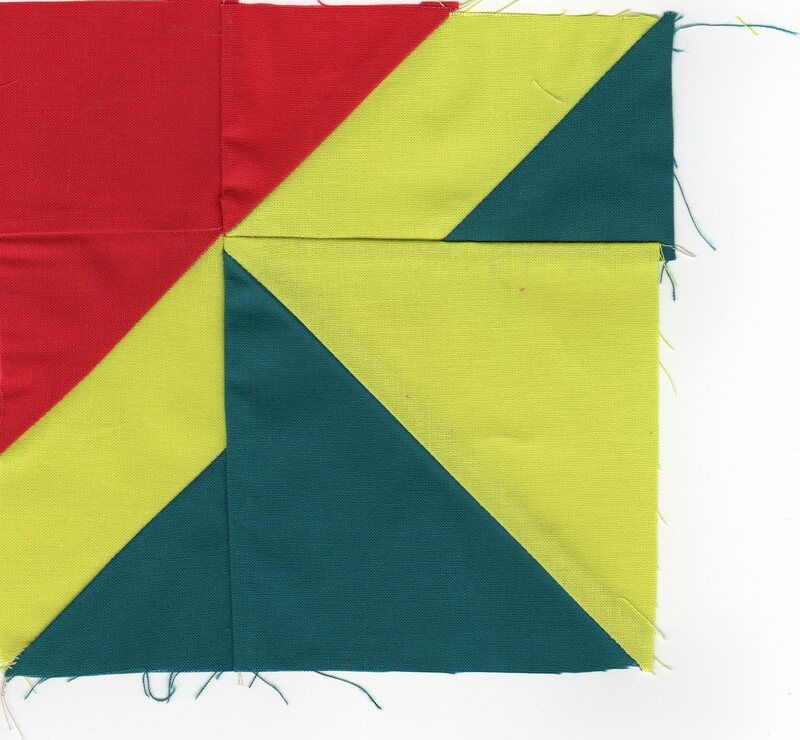 We’re getting a total of 3/4 of yard in the colours of our Guild logo designed by Berene Campbell of Happy Sew Lucky. 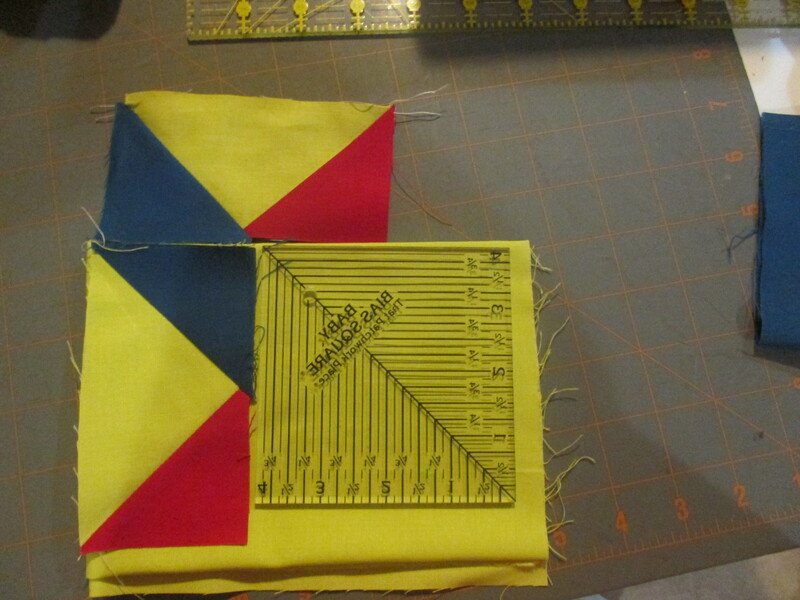 We are working on our banner and the challenge is for each member to create a six-inch block using the fabrics we’ve been given. These are arranged from light to dark. I thought had them organized correctly but decided to take a black and white photocopy to double-check. I was close but had the cactus as the third lightest but in fact it’s really the second lightest. At first I had the cardinal as darker than the glacier and then changed my mind. 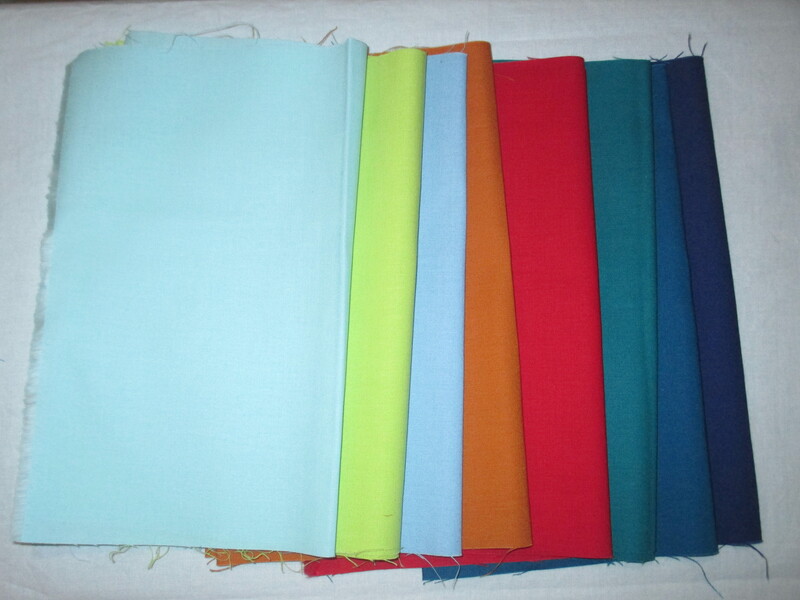 As all we have to produce is one block each, there will be lots of left over fabric. Hmmm, we may have to have another challenge to do something with those. 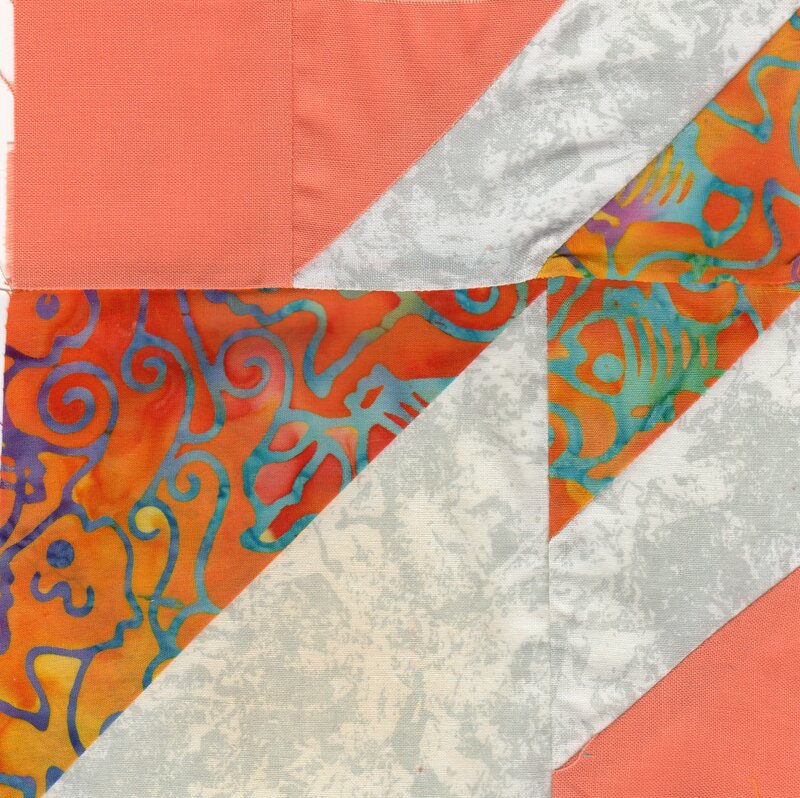 The block I’m thinking about making is a riff on the fish block I’m using for Pirate Girl’s quilt, which is itself a riff on an Ohio Star block. 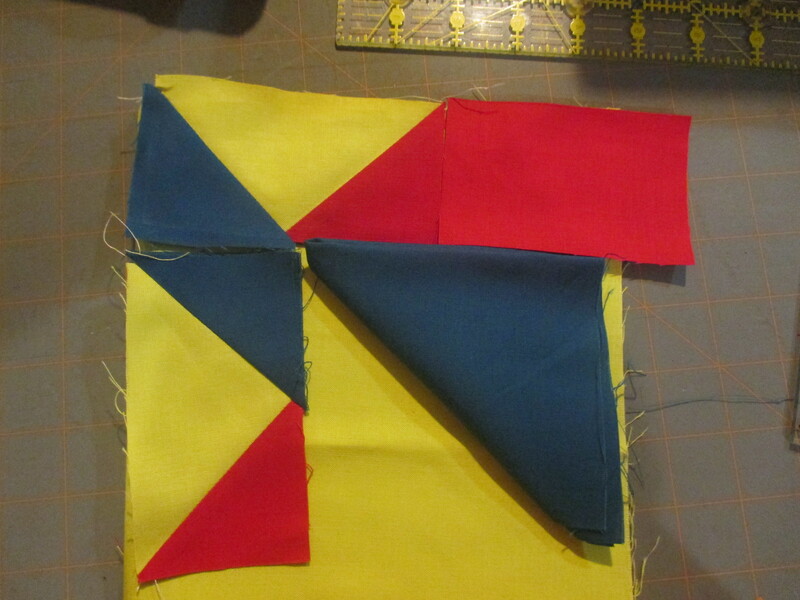 But this block is twisted and will be made in three colours rather than just two.